Even as The Dark Knight approaches its tenth anniversary, Christopher Nolan’s unforgettable crime saga is still held up as a textbook example of a film that single-handedly raised the bar for its genre – the comic book movie, in this instance. And though there are many parts that make up that the accomplished whole – the haunting score, the ensemble cast, the eternal struggle between good and evil…to name but three – Nolan’s modern classic owes a great deal to Heath Ledger, who delivered a performance for the ages as Gotham’s Clown Prince of Crime. However, in looking back on The Dark Knight with the benefit of hindsight, it becomes important to remember the vitriolic backlash that ensued soon after Ledger was cast as The Joker. As you no doubt know by now, ardent DC fans ridiculed Christopher Nolan’s decision, as the director placed his faith in an actor best known for 10 Things I Hate About You and Brokeback Mountain. How wrong they were. Heath Ledger’s fiery, intense portrayal of The Joker is now the stuff of legend, and though it’s a slightly different ballgame given how Ledger tragically passed away during post-production on The Dark Knight back in 2008, Christopher Nolan recently spoke with Entertainment Tonight about all things Dunkirk, and how his decision to trust his instincts when casting Harry Styles can be compared to Ledger’s addition to his Batman trilogy. 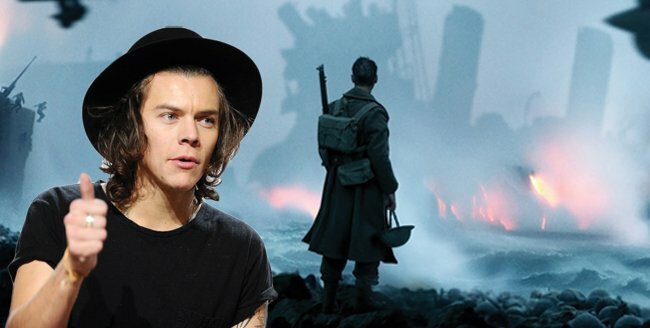 Barring a stint on Saturday Night Live and various music performances for One Direction, Styles had never made the jump over to acting prior to Dunkirk, so it’s no wonder his casting proved somewhat contentious. That being said, after beating out hundreds of potential candidates, the musician landed the role of Alex, a soldier caught up in the crossfire of Operation Dynamo, and here, Nolan levels on why he believes Styles is perfect for the part. Christopher Nolan will begin Operation Dynamo when Dunkirk zooms into theaters on July 21st. Tickets are now on sale, and those of you who wish to see Nolan’s latest on the biggest screen possible are in luck: Warner Bros. plans to stage the widest 70MM release in almost 25 years with no less than 125 theaters across North America set to screen Nolan’s wartime drama on the high-resolution format.